Every day Bill Spitale answers tough personal questions. ” Will it stay on my head? Won’t it look fake? Will it get in the way of my activities? ” His customers are asking about hair replacement products to cover their balk or balding heads. They are concerned about their appearance and incredibly sensitive to the answers given by Bill. He maintains his success in helping a customer decide to have more hair depends on an explanation of the artistic and scientific aspects of modern-day hair replacement. It’s an art in the sense that a customer can get a totally customized hairstyle individually planned for him. Color selection, design and fit are the critical artistic factors. Right down to the feel of the hair, we can match the replacement’s feel to the remaining hair, assuming there is some. The Art of it is possible because new fibers and human hair have been introduced. There is no surgical implantation in the work done by Bill. By using a special grafting process, it’s like the client has grown his or her own hair back. According to Bill, “The science is apparent in the manufacture of the hair.” It can be treated just like regular hair. While business men and women were among the first to begin getting more hair, college students and retirees have joined the crowd. Bill Spitale believes there is a lot of psychology involved. In general, he feels that men and women who buy hair replacements want to look good to others for business and social reasons. “They want to be pleasing to look at and pleasing to be with. It’s just plain normal.” According to industry studies, people who elect to have hair are very oriented to group involvement. They are concerned about how others see them. In effect, they want to fit in with and be admired by group members. People today buy hair to enjoy 24 hours a day. Bill Spitale’s INTEGRATED HAIR SOLUTIONS studio of Rochester New York serves hair wearers traveling from near or far. The nation’s physical fitness boom has affected the hair replacement industry. People are more conscious than ever before of their appearance. Receding hairlines or thinning hair is often viewed as a negative characteristic relative to appearance. 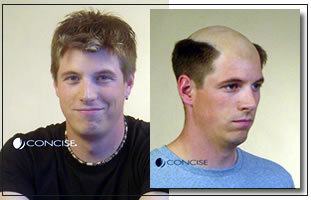 Active lifestyles match well with the new hair and science of natural hair replacement designs. The worry has diminished as the look is natural. 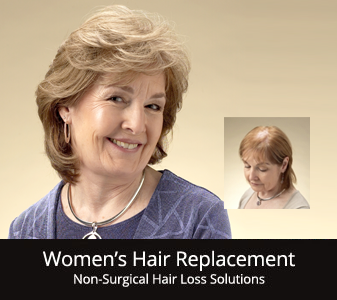 Integrated Hair Solutions offers all types of hair replacement techniques including laser hair growth treatment, hair transplants, non-surgical hair replacement options, womens’ wigs, hair extensions, and specially designed wigs for chemo patients. INTEGRATED HAIR SOLUTIONS offers free private consultations. To schedule an appointment please call 585-475-0010.